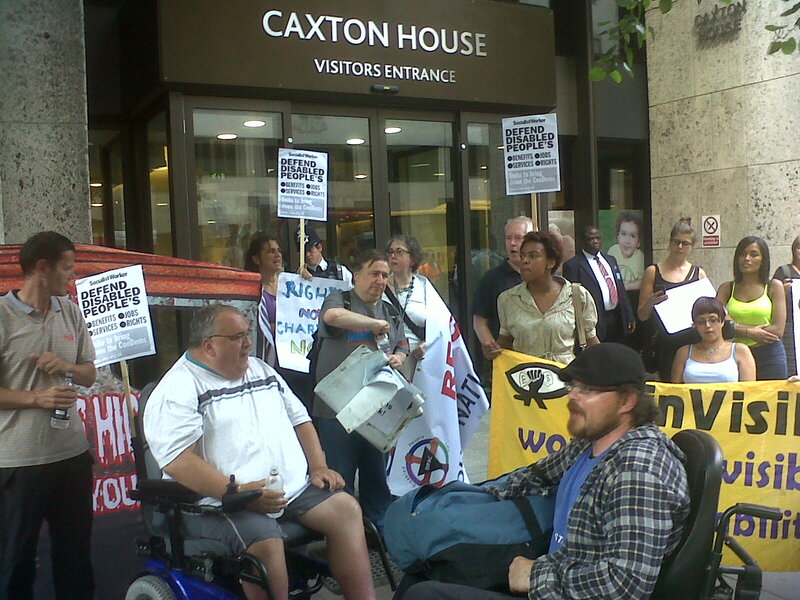 Another hugely successful day of action organised by Disabled People Against Cuts (DPAC) took place today targeting five government departments and ending with a mass lobby of Parliament. At lunchtime disabled protesters and supporters began to gather outside four government building, all of which are culpable for creating the vicious regime that currently exists for disabled people. Crowds of people met outside the departments of Health, Education, Transport and Climate Change to protest against soaring heating bills, increased segregation in education, inaccessible and unaffordable public transport and cuts to social care budgets and healthcare.